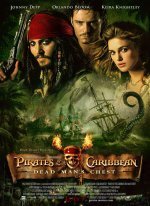 Pirates of the Caribbean: The Curse of the Black Pearl release date was Wednesday, July 9, 2003. 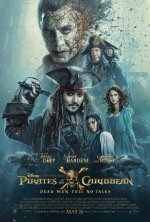 Aboard the Black Pearl, infamous pirate Captain Barbossa (Geoffrey Rush) attacks the city of Port Royal and kidnaps a governor's daughter, Elizabeth (Keira Knightley). 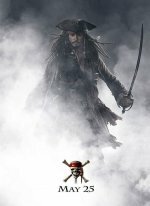 Barbossa then sets sail with his hostage toward a secret hideaway, hoping to lift an ancient curse by sacrificing her and returning a once-plundered treasure. 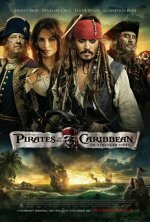 Elizabeth's childhood friend Will Turner (Orlando Bloom) meets an eccentric seaman, Jack Sparrow, who reveals that the Black Pearl was formerly his ship, until Barbossa committed mutiny. Together, they assemble a ragtag crew and commandeer a British vessel, hoping to chase down and free both Elizabeth and Sparrow's Pearl. Following after them is the British military, led by Elizabeth's would-be fiancé, Commodore Norrington (Jack Davenport).